Real beef and real beef stock give a truly homemade flavor to this classic. 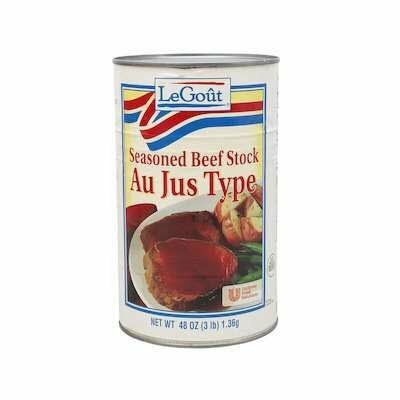 BEEF STOCK, WHEAT FLOUR, BEEF, MODIFIED CORN STARCH, SALT, HYDROLYZED SOY PROTEIN, MONOSODIUM GLUTAMATE, SUGAR, CARAMEL COLOR, NATURAL FLAVORS, CORN SYRUP SOLIDS, SPICES, THIAMINE HYDROCHLORIDE, DISODIUM INOSINATE, DISODIUM GUANYLATE. This product can accompany your favorite meat and side dish.